The Grade 1 and 1-2 classes enjoyed a variety of Earth Day activities over the past few days. Our religion programs are a wonderful lead-in to this special day, as they reminds our students that God created the world and trusts us to do our best to be kind and to take care of it. Students participated in group discussions, learned about things that they can do to help the Earth, completed written activities, and watched videos. We finished off with a group art activity. We drew our hands and wrote our five favourite things about the Earth on our fingers. The results are up in the hallway between our classrooms. We plan on continuing to remind our students to reduce, reuse and recycle so that we all do our part to take care of our beautiful planet Earth! April 22nd was Earth Day all around the world. 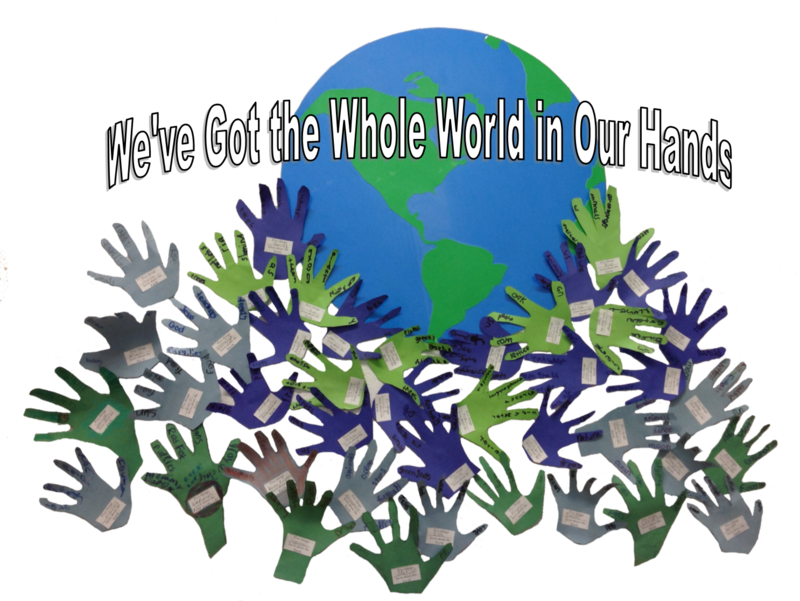 In honor of Earth Day Grade 1’s with their Grade 6 buddies put their gloves on, in search of making the earth a cleaner place to live. On Friday April 20th the students spread out in the yard and helped out the earth, one piece at a time! They did a fantastic job at cleaning the St. Charles playground. We talked about different ways we can help the earth to stay clean and this was one of their ways of helping. The Grade 1’s loved working with their buddies to make the playground a cleaner place for us to live and play in. All of the students were surprised to see how much garbage they found just in our playground. It was a great experience for all! We just want to Thank You …. … for your warm smiles, your encouragement, your words of wisdom! We had our annual Mother’s Day Tea in kindergarten last Friday, May 11th, 2018. Both kindergarten classes, KA and KB, performed a special song and poem for their moms. The students did a fantastic job! We continued the celebration in our respective classrooms where we shared cookies and tea. We would like to thank all the moms who took the time to be part of this very special celebration with their children. Happy Mother’s Day!